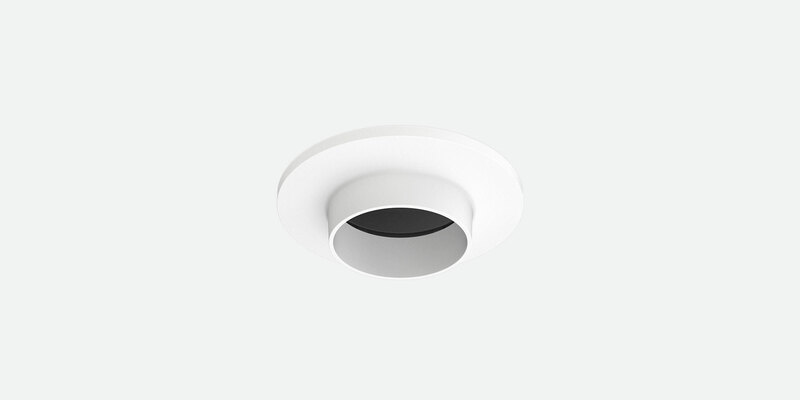 Recessed ceiling luminaire with rotationally symmetrical medium, flood or wide flood optics, high colour reproduction, directional orientation. Combine with optical lens and anti-glare accessories for oval, wide spread, or diffuse beam control. High pressure die-cast powdercoated facade with snoot detail. Includes direct fast connector to remote driver. Active power factor correction, current regulation, voltage spike protection.